According to the latest available data from the National Fire Incident Reporting System, cooking is the leading cause of all nonresidential building fires, as well as the leading cause of restaurant fires specifically. 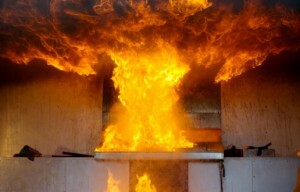 Commercial kitchen fires cause over $172 million in property damage and injure roughly 75 people per year. Fortunately, 91 percent of kitchen fires are small, confined fires that do not cause extensive damage to the restaurant building. In large part this is because most restaurant owners work very hard to reduce their risk of fire and to ensure that any fires that do start in the kitchen get extinguished promptly. Here are 3 things that the kitchen air control and fire suppression specialists from Flue Steam can do to help you reduce the risk of fire in your commercial kitchen. In non-confined restaurant building fires, the source of the fire can often be traced back to a grease fire in the kitchen. Sometimes the specific appliance can even be pinpointed. Data indicates that 9 percent of these non-confined fires are caused by deep fryers, 7 percent by ranges, and 5 percent by other miscellaneous cooking equipment. It is very important that you ensure your cooking appliances are equipped with exhaust hoods that can effectively vent all greasy cooking vapors away from the appliance and out of the building. Even with properly sized and positioned exhaust hoods, some greasy residue is bound to adhere to kitchen surfaces, specifically the underside of the exhaust hood and the interior of the kitchen exhaust system. The pros at Flue Steam can help you keep these grease deposits within the limits deemed safe by local fire codes through a combination of hand scraping and steam cleaning techniques. Another important aspect of commercial kitchen fire prevention is having an automatic fire suppression system. When functioning properly, this system can extinguish fires that occur on the cooktop or in the exhaust hood before they can spread into the ductwork. It is necessary to have your automatic fire suppression system inspected regularly, especially after a discharge of the system. The automatic system should also be supplemented by portable fire extinguishers that are kept within easy reach of kitchen employees. Flue Steam can provide and/or service both portable fire extinguishers and automatic fire suppression systems.